Origin Madness at Slideways Go Karting Brisbane! 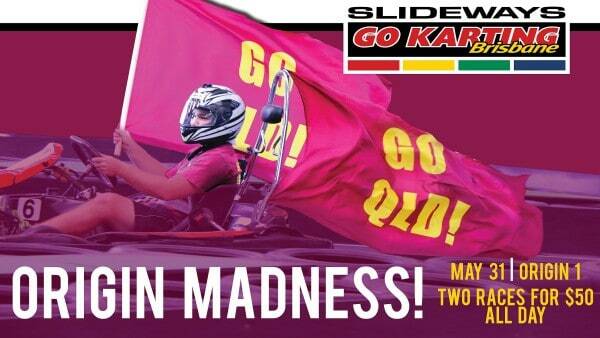 Home News and Updates Origin Madness at Slideways Go Karting Brisbane! State of Origin fever hits Slideways Go Karting Brisbane at Eagle Farm on Origin Game 1 day, Wednesday May 31, with two 10 minute races available for only $50! Click here for the event on Facebook to stay up to date with the latest news!